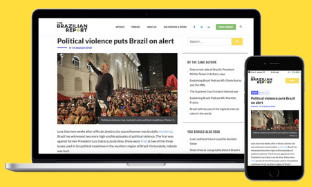 When Brazilians went to the polls in October 2018, they wanted change. The frustration with the political class led voters to elect newcomers at every level. The Senate —a chamber usually occupied by former congressmen, governors, and even former presidents—was no exception to the zeitgeist. A staggering 46 of 54 seats up for grabs last year were filled by newcomers, promising to shatter the ways of “old politics.” It took a day for us to see that the fresh faces haven’t brought anything new to the table. 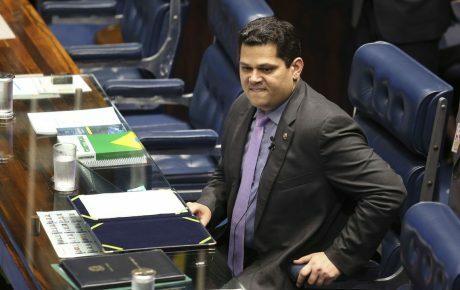 The circus that was the Senate President election shows how little even Brazilian politicians take themselves seriously. The new senators tried to stage a coup, shredding the Congress rulebook and manipulating the rules to change the predicted outcome of the election. However, it is hard to feel sorry for the veterans — who stood in power for so long precisely thanks to manipulation of the rules and non-republican backstage negotiations. There are no good guys in this story. 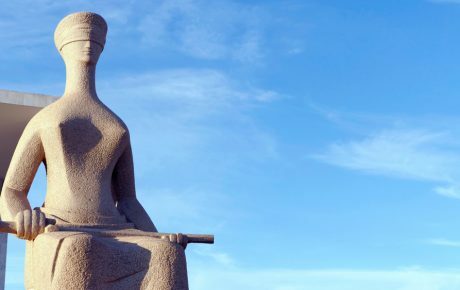 This episode, though, is just the latest in a series of cases that have demoralized the Brazilian Senate — a process of deterioration that has lasted for about 20 years. In 2000, the Senate impeached one of its members for the first time. 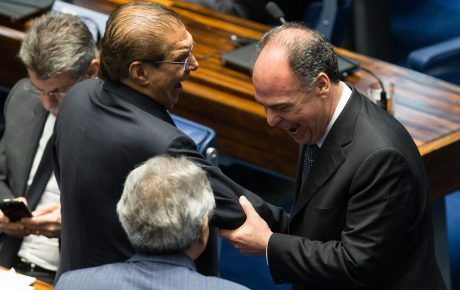 Luiz Estevão, from Brasília, was accused of lying under oath to Congress about his involvement in a scheme that siphoned BRL 169 million of public funds, and the Senate ousted him with 52 of 81 votes. 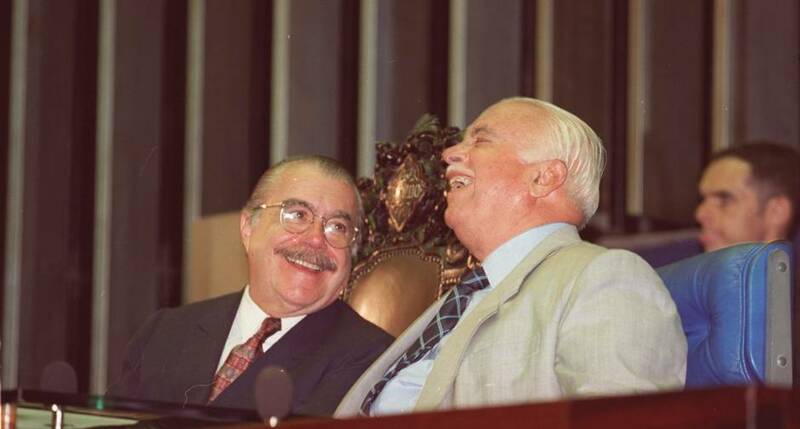 At the time, the late Senator Antonio Carlos Magalhães — or ACM, a sort of Don Corleone who dominated Bahia politics for decades — managed to break the secrecy of the vote. 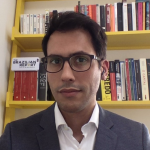 Mr. Magalhães asked an employee of the Senate’s data processing division for access to the information on how each senator voted in the impeachment process — and started to use it to blackmail his colleagues who voted to protect the corrupt Luiz Estevão. When the breach became public, Mr. Magalhães and other senators involved had to resign to escape impeachment. It was only downhill from that point on. In 2007, Renan Calheiros was at the epicenter of a corruption scandal for the first time. It became known that the lobbyist for a construction company paid alimony for an illegitimate daughter of the then-Senate President. The case prompted the press to look into Mr. Calheiros’ net worth — which was not compatible with his salary as a senator. At the time, thanks to enormous horse-trading efforts behind the scenes, Mr. Calheiros escaped intact from all accusations. In 2009, the Senate was, again, being dragged in the mud. It became known that the Senate’s governing board issued over 1,000 acts that were not published by the Federal Register — which is naturally illegal. These acts were used to create jobs for relatives, and increase benefits received by members of Congress. Over 60 friends and relatives of José Sarney, former Brazilian president and Senate president at the time, were appointed to high-paying positions without any scrutiny whatsoever. In 2016, when Mr. Calheiros was serving another term leading the upper house, the Supreme Court issued a ruling to oust him from his seat. The argument was that someone facing 13 criminal investigations for corruption couldn’t be in the presidential line of succession. What did the Senate do? Nothing. Senators ignored the country’s highest court, voting to keep Mr. Calheiros and forcing justices to cave. Two and a half years later, Mr. Calheiros experienced the opposite. His fellow senators booed him this time, forcing one of the biggest humiliations of his political career. The once almighty Senator lost his cool, throwing public threats at those who deprived him of another stint as president of the chamber. Which only makes us think that we have yet to see the last shameful episode in the Senate.